Italian wedding dresses, designed to match the Italian culture, can add the finishing touches to a culturally oriented wedding. As the Italian community has many traditions revolving around marriage, proper Italian wedding dresses can add a lot to the wedding. Buying an Italian wedding dress for the most beautiful day in life is an important engagement for the bride. Italy offers some of the finest and most spectacular selections of wedding dresses in Europe. Are you getting married on the lakes and are you thinking about an Italian style wedding dress? A fashion dress but at a reasonable price? We have the solution for you! 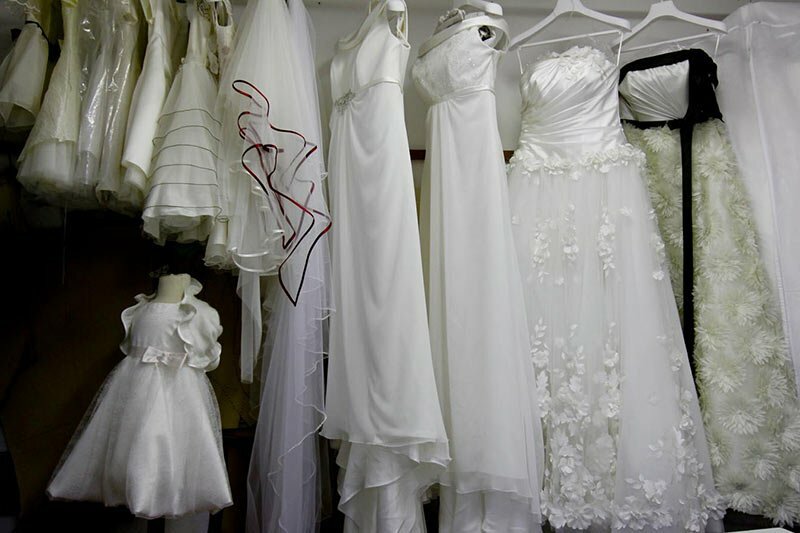 Le Spose di Letizia is a wedding dress atelier located in Stresa. They create 100% made in Italy wedding dresses. 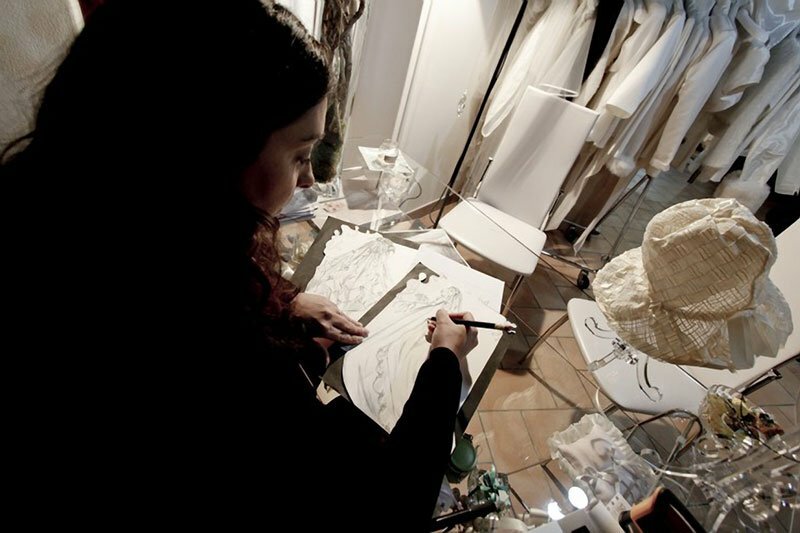 For your Italian wedding Le Spose di Letizia could create a very special Italian wedding dress even starting from an idea ora sketch of your own. All dresses are hand made. Le Spose di Letizia Atelier is located in Nebbiuno on Lake Maggiore hills between Stresa and Arona. Nebbiuno is easily reachable from Milan, Torino, Lake Orta and other wedding destination such as Lake Como by Motorway (Autostrada dei Trafori). Each wedding dress is created by Maria Letizia Grifasi, atelier's stylist and designer. Each dress is hand made and tailor made. Elegance, simplicity, fabric quality and attention for the details are all the main feature of a wedding dress created by Maria Letizia. Each dress is just unique and unforgettable. Maria Letizia Grifasi's dresses are all fine, elegant and simple. They can just strike you thanks to all little details that made them unique gems. 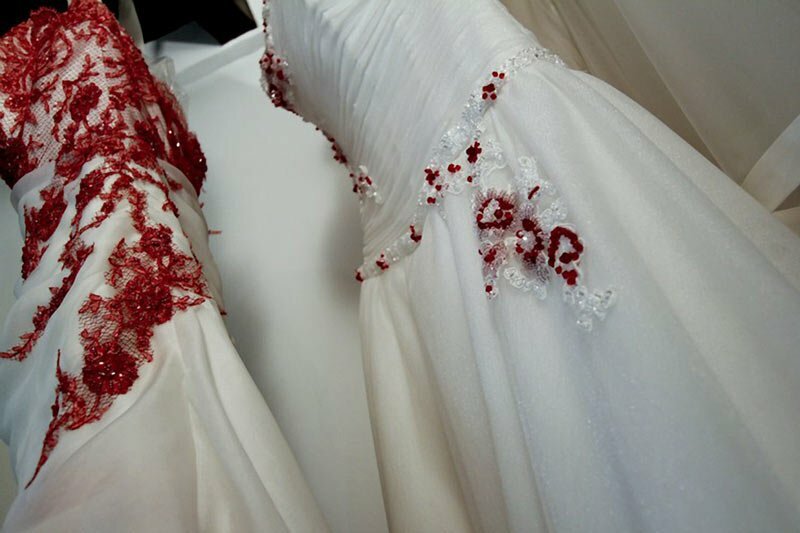 Le Spose di Letizia is not only wedding dress! They also create elegant gowns and bridesmaids dresses with all coordinated accessories. Maria Letizia Grifasi has worked for more than 15 years in haute couture and she is able to give you the right advices to be a perfect bride with a perfect dress! In Le Spose di Letizia atelier you can try different models that could be personalised and tailored on your tastes and needs. 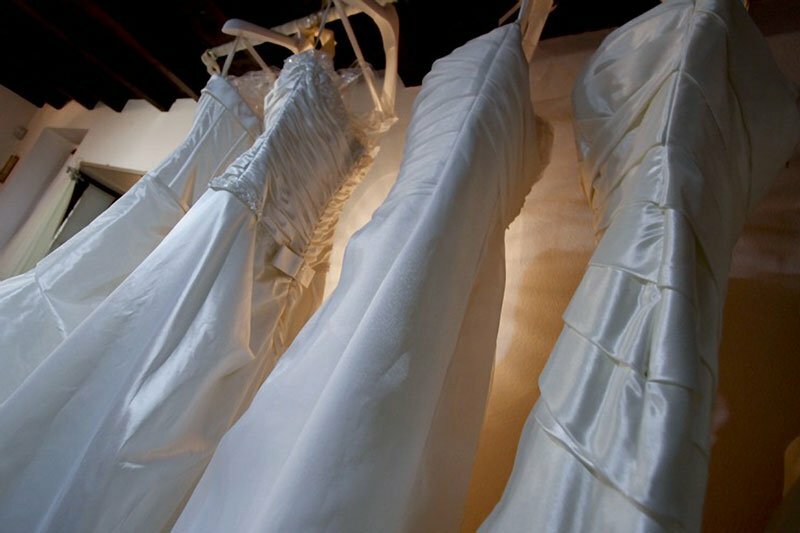 For your Italian wedding choose Le Spose di Letizia's hand made Italian wedding dresses. Pure 100% Made in Italy at great prices!